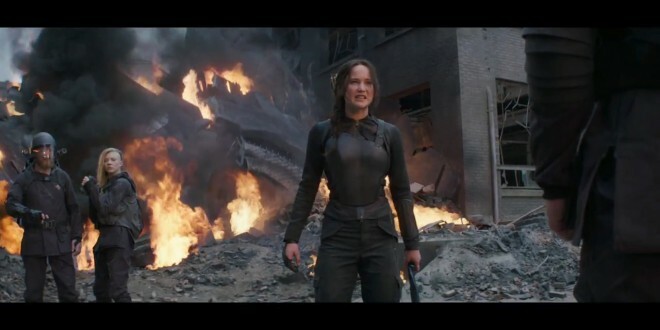 According to a press release from Fandango, The Hunger Games: Mockingjay Part 1 has broken the ticket retailer’s 2014 record for first day pre-orders! Tickets can be purchased HERE. LOS ANGELES (Oct. 30, 2014) – Fandango, the nation’s leading moviegoer destination, announced that Lionsgate’s “The Hunger Games: Mockingjay – Part 1” ” on October 29 set a new record, selling more first day advance tickets than any other movie in 2014 so far. Three weeks before its November 21 release date, “Mockingjay” surpassed the first day of advance ticket sales for Lionsgate/Summit’s “Divergent,” Fandango’s previous 2014 record-holder, set on March 3. During its record-setting first day, “Mockingjay” accounted for nearly 80% of Fandango’s daily ticket sales. Starting today at www.Fandango.com/HungerGames, fans who buy tickets to “Mockingjay will be automatically entered for a chance to win a four-door 2015 Mazda3. The sweepstakes ends on December 12 at 8:59 am PT. See official rules on Fandango for prize details, approximate retail values and free alternate means of sweepstakes entry atwww.fandangomockingjaysweeps.com. Also on Fandango, fans with an artistic streak can enter Fandango’s “The Hunger Games: Mockingjay – Part 1” Fan Art Contest. The winning artist will win one thousand dollars’ worth of Fandango movie tickets and the winning art will be featured on a Fandango “Hunger Games” gift card. The contest can be found on Fandango’s Tumblr page (fandango.tumblr.com) and ends November 4 at 12 noon PT. Lionsgate and Fandango will select the winning artwork, which will be announced on November 14. “The Hunger Games: Mockingjay – Part 1” was voted by Fandango fans as the most anticipated movie of 2014. To celebrate the advance-tickets-on-sale window, Fandango is launching “’The Hunger Games’ Guide” destination at www.Fandango.com/HungerGames, featuring exclusive “Mockingjay” movie trailers and clips with Jennifer Lawrence, plus fun film facts, movie trailers, fan polls, new “Mockingjay” gift cards, the Ultimate Katniss Mash-Up, and “The Hunger Games” Character Guide for the uninitiated. Fandango, the nation’s leading moviegoer destination, sells tickets to more than 25,000 screens nationwide. Fandango entertains and informs consumers with reviews, commentary, celebrity interviews and trailers, and offers the ability to quickly select a film, plan where and when to see it, and conveniently buy tickets in advance. For many theaters, fans can print their tickets at home or receive them as a paperless Mobile Ticket on their smartphones. Fandango’s top-ranking movie ticketing apps, with more than 44 million downloads, are available on the iPhone and iPad, Android, and many other platforms. Fandango is enjoyed by more than 30 million online and mobile visitors each month, according to comScore. Film fans also find Fandango on Facebook at www.facebook.com/fandango and on Twitter @Fandango. Mazda North American Operations is headquartered in Irvine, Calif. and oversees the sales, marketing, parts and customer service support of Mazda vehicles in the United States and Mexico through more than 700 dealers. Operations in Mexico are managed by Mazda Motor de Mexico in Mexico City. The 2015 Mazda3 is built from the ground up with the award-winning SKYACTIV® technologies and wrapped in a stunning cloak of KODO design. The overall package touts best-in-class fuel economy with 41 highway mpg and keeps its occupants safe through the available i-ACTIVSENSE suite of safety technology. The 2015 Mazda3, available in four-door and five-door models, is offered in four trim levels – SV (sedan only), Sport, Touring and Grand Touring. On sale now, pricing starts at less than$17,000 MSRP for sedans and less than $19,000 MSRP for five-door configurations.